etc., of funds in the drawer’s account on which the cheque is drawn for the discharge of any legally enforceable debt or other liability. The object of the NI Act is to encourage the usage of cheques and enhancing the credibility of the instrument so that the normal business transactions and settlement of liabilities can be ensured. The Negotiable Instruments (Amendment) Bill, 2015 was introduced in the Lok Sabha on May 6, 2015. The Bill seeks to amend the Negotiable Instruments Act, 1881. The Act defines promissory notes, bills of exchange, cheques and creates penalties for issues such as bouncing of cheques. 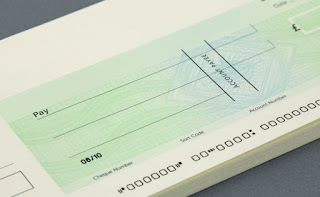 The Act specifies circumstances under which complaints for cheque bouncing can be filed. However, the Act does not specify the territorial jurisdiction of the courts where such a complaint is to be filed. The Bill amends the Act to state that cases of bouncing of cheques can be filed only in a court in whose jurisdiction the bank branch of the payee (person who receives the cheque) lies. If more than one case is filed against the same person before different courts, the case will be transferred to the court with the appropriate jurisdiction. The Bills also amends the definition of ‘cheque in the electronic form’. Under the Act, it was defined as a cheque containing the exact mirror image of a paper cheque and generated in a secure system using a digital signature. The definition has been amended to mean a cheque drawn in electronic medium using any computer resource and which is signed in a secure system with a digital signature, or electronic system. 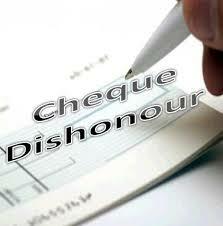 The clarity on jurisdictional issues for trying cases of cheque bouncing would increase the credibility of the cheque as a financial instrument. This would help trade and commerce in general and allow the lending institution, including banks, to continue to extend financing to the economy, without the apprehension of loan default on account of bouncing of a cheque. The objective is to ensure that a fair trial is conducted keeping in view the interests of the complainant by clarifying the territorial jurisdiction for trying the cases for dishonour of cheques. The Ordinance is similar to the Bill in the sense that the substantive principle for determination of the jurisdiction of cases under section 138 of the NI Act remains the same, except that that two distinct situations of payment of cheque (i) by submitting the same for collection through an account or (ii) payment of a cheque otherwise through an account, that is, when cheques are presented across the counter of any branch of drawee bank for payment, are covered under the Ordinance.